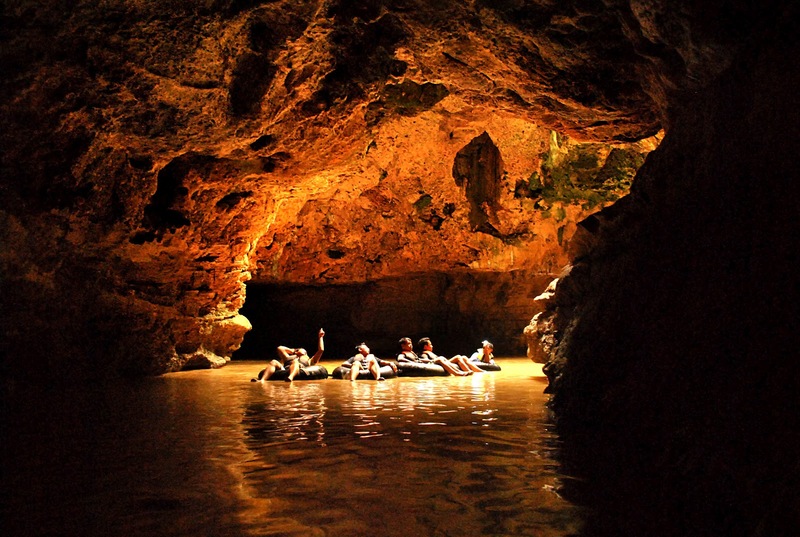 Pindul has a length of about 350 m, a width of up to 5 m, distance to the water surface with the roof cave 4 m, and about 5-12 m water depth. Goa has 3 zones. light zone, a zone of twilight, and the dark zone. It takes about 45 minutes. Cavetubing very similar to rafting. 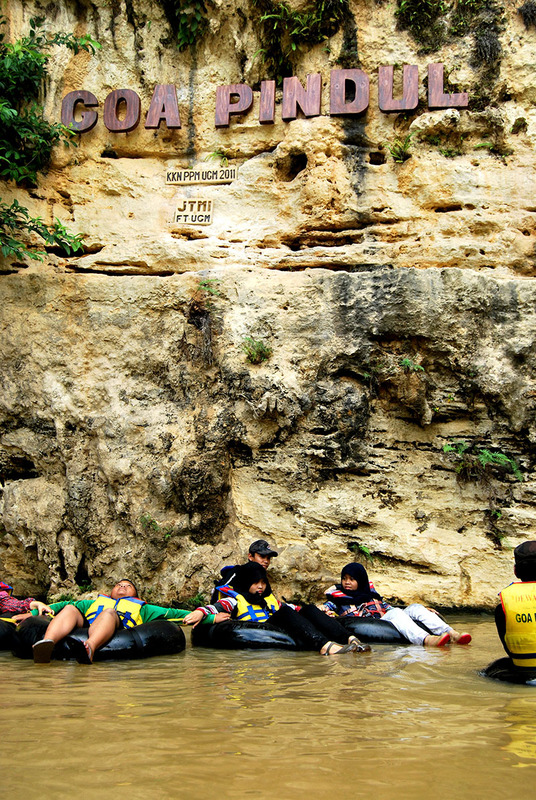 If rafting (rafting) is the flow down the river by boat, then cavetubing is caving activities using inner tubes. 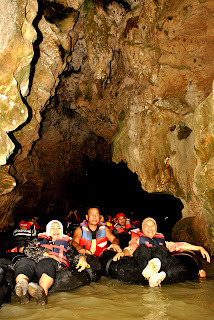 Because the flow of water in this quiet Pindul then do cavetubing in Pindul this can also be done by beginners and small children and even pregnant women ever. In the midst of the Cave, there is a fairly large room, with a hole on top of the locals call inverted wells, sunlight entering through these holes make the atmosphere even more beautiful. This is where the hole above the cave entrance is often used as a vertical by members TIM SAR or training. 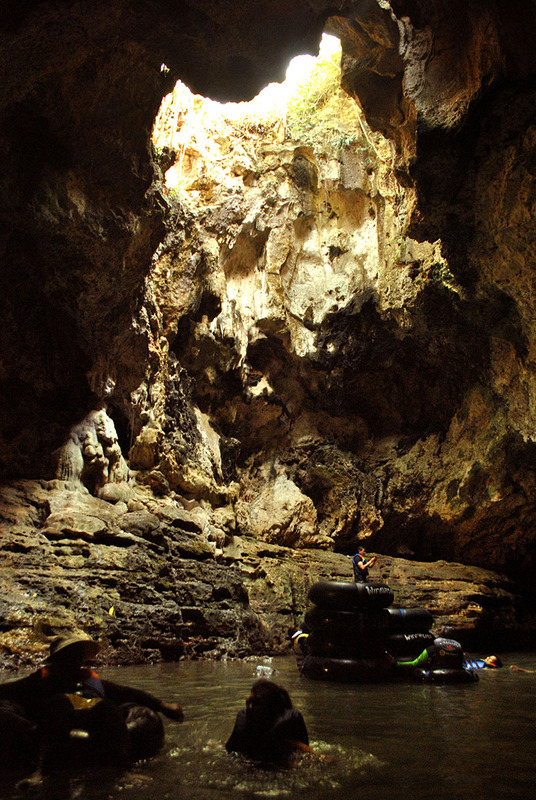 When you exit the cave at this Pindul, you will find a stalactite that has been fused with stalagmites that looked like a pillar with wide arm span five adults (Soko Guru). 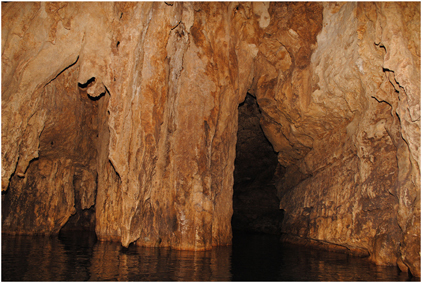 This is the biggest stalactites in Goa and has ranked No. 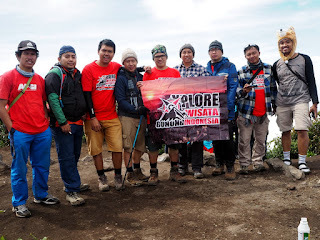 4 in the world. Stalactite putting still active await you with water droplets that supposedly can make a pretty n 'ageless, for men to add vitality which has been awaited stalactite male, you simply hold it already feels real difference ...' lek .... For siblings in the clear zone can swim, jump while viewing fish big enough to show off the beauty of stalagmites and stalactites tubuhnya.Ada also fused, becoming the 4th largest in the world, it took 5 people to circle it, even slot only wide enough one person only. Goa amidst great that he said as I Goa.Keindahan more complete with ornaments along the walls of Goa as a masterpiece of abstract painting is priceless. Crystal eyes bat cave hanging decorate the hall. There is also a curtain composed of water droplets on the wall Goa.